Masmart game watch is a more smarter kids watch that you can find wherever you are. Parents can control and set the watch through the application. It's a great gift for your kids boys girls to enjoy entertainment and learning. Suit for 3-12 year old. ✓activity tracking ✓voice chat ✓anti loss ✓stopwatch ✓night flashlight ✓remote voice monitoring ✓remote camera ✓support multiple languages ✓rechargeable standby time of 5-7 days. -The card into the SIM card cover. -Cover the SIM card that has installed into the dial. -When you insert a sim card, the watch needs to be turned off. 1.This smart watch support living waterproof , can not be directly rinsed with water. 2.If our item not make you 100% satisfied, Just simply return for a full refund within 30 days. 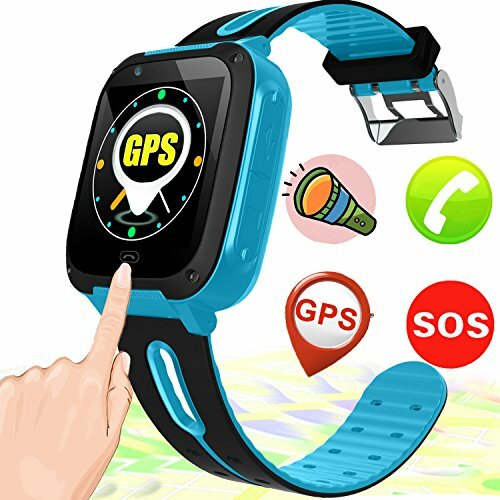 ◆2018 PRIME GIFT for KID: This kids smartwatch built-in learning game, GPS + LBS positioning, phone call, SOS emergency call, voice chat, night flashlight, activity tracking, theme, photo album, camera, life waterproof, high sensitive touch screen, perfect match technology. Silicone wristband, gentler for children's skin. Rechargeable, multilingual support, intimate design, convenient and durable. Simple operation, to meet the needs of children. If you have any questions about this product by MarMoon, contact us by completing and submitting the form below. If you are looking for a specif part number, please include it with your message.